Join us once more as our heroes try and find each other...but they’ll have to brave the dangerous tunnels around Annalore first! Also: Jodhi trusts his feelings, Drusilia sees some new people, and Dun Khan falls in love. We’d love to hear from you if you’ve got thoughts about the show, so check us out on Twitter @htwlaid! Our awesome intro music comes from BoxCat Games, check them out! Join our heroes in another adventure on GROUNDHOG DAY! Having emerged from The Web back into their own reality, the group quickly get back to what they do best – straight up murdering fools. Also: Jodhi prepares for Tokyo 2020, Dun Khan learns the importance of perception, and Drusilia gets a pretty cool concussion, apparently. Join our heroes as they continue their trek through the mysterious space known as “The Web”. Will they find each other? What other perils might befall them? Knowing these three, probably a lot. Also: Jodhi tries out his new found pace, Dun Khan grapples with existential angst, and Drusilia achieves her true destiny. Chapter 15: Surfin' The Web! Join us as our heroes as they explore a strange new world, but not before spending some time getting significantly buffer and beefier! Also: Drusilia finds a really cool book, Dun Khan learns some great new ways to stand, and Jodhi does probably the grossest thing we’ve had on the show so far. Chapter 14: Whatever (Pie) Floats Your Boat! Join us as our heroes continue their journey, and leave Sanctuary behind! They encounter some travellers on the road, before finally leaving the woods...although maybe not in the way they intended. Also: Jodhi cops some cool threads, Dun Khan learns the true joy of saving, and Drusilia is altogether too excited to meet another member of her species. Happy Holidays! This episode may be a day late, but it’s certainly not a dollar short! Join a new gang of adventurers as we delve once more into Dun Khan’s psyche for a Mid Winter story! There’s a big big Santa boy, a wonderful metal man, and a septuagenarian! What’s not to like! ANY RESEMBLANCE TO LICENSED CHRISTMAS THEMED CHARACTERS IS PURELY COINCIDENTAL. 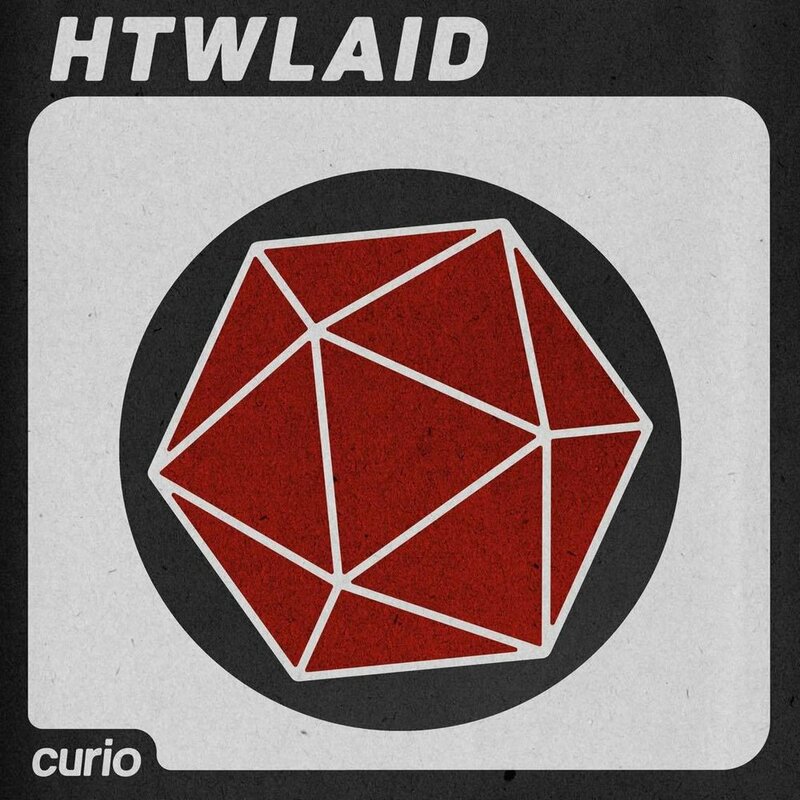 We’d love to hear from you if you’ve got thoughts about the show, so check us out on Twitter @htwlaid! If you tweet about us we might shout you out on the show, and as always: consider giving us a rate and review on iTunes, it really really helps, and tell a friend! We'll be back to our regular schedule on January 12th. Join our heroes in a bit of a change of pace, as they interrogate the prisoners from their successful rescue of Sanctuary. Get ready for revelations, and cleaning up some unfinished business. Also: Drusilia’s loose lips nearly sink Jodhi’s ship, and Dun Khan performs some impromptu surgery. Join our heroes as they venture into a besieged Sanctuary under cover of darkness to save their friends and companions from would be thieves. Also: Jodhi puts his rod to use, Dun Khan gets a speed round, and Drusilia finds her new favourite spell. Join our spooky heroes for something a little different this week, as we venture into the terrifying world of Dun Khan's psyche on this special extra spooky day! There are frights, delights, and what can only be described as some atypical sexual fetishes. We’d love to hear from you if you’ve got thoughts about the show, so check us out on Twitter @htwlaid! If you tweet about us we might shout you out on the show, and as always: consider giving us a rate and review on iTunes, it really really helps, and tell a friend! We'll be back to our regular schedule on November 17th.